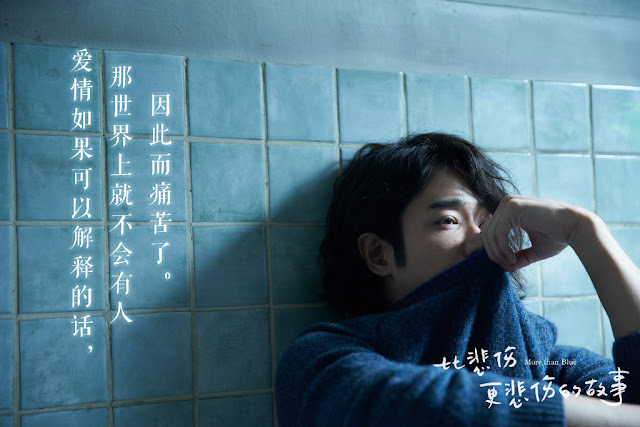 When More Than Blue 比悲伤更悲伤的故事 hit theaters on March 14, nobody expected it to be such a powerhouse. In just 5 days, More Than Blue has managed to beat out Captain Marvel which, in my opinion, is no easy feat. 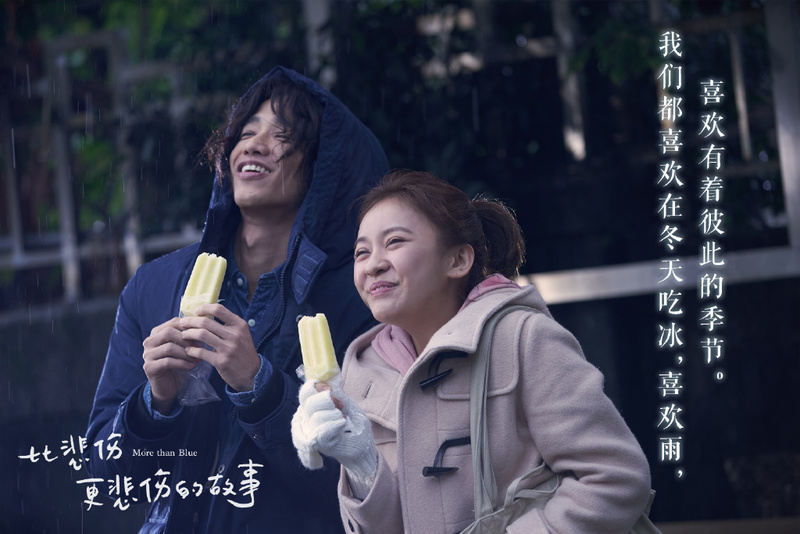 It also sets the record as the highest grossing Taiwanese film in Mainland China and is coming close very to breaking 500 million yuan in the box office. More Than Blue stars Ivy Chen, Jasper Liu and Bryan Chang. It is a remake of the 2009 Korean movie of the same name starring Kwon Sang Woo, Lee Bo Young and Lee Bum Soo. 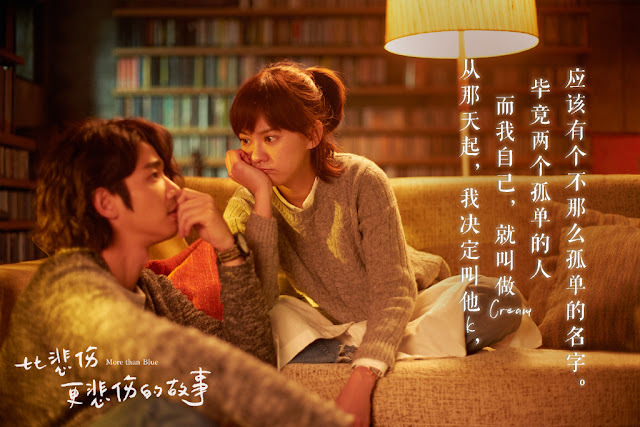 The story follows Zhang Zhekai (Jasper Liu) and Song Yuanyuan (Ivy Chen). Having nobody but each other, they try their best to overcome the hurdles life throws at them. Being terminally ill, Zhang sacrifices his love for Song Yuanyuan when a gentle and well rounded Yang Youxian (Bryan Chang) enters her life. A movie like this has got many people talking about the story and the characters. 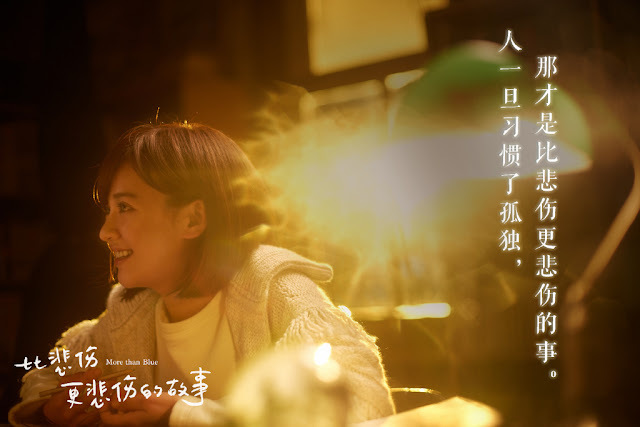 Zhang Zhekai and Song Yuanyuan's sad love story is touching especially to those who have experienced loving someone but never getting the chance to tell them. Buzz comes from fervent word of mouth with status updates like, "I suggest you bring a towel as tissues are not enough." and "After you watch the movie, you won't want to let people see you as your eyes will be swollen." Even bad publicity is good publicity when the naysayers also trended for claiming that they probably watched a fake version of the movie since there was nothing to cry about. Regardless of whether you loved or hated it, whether you cried or not, More Than Blue has proven to be a dark horse that can topple a Hollywood blockbuster. It just needs the right amount of magic... or in this case, tears. cried like a baby while watching this movie. i came in the theater not seeing the trailer or knowing what the movie is about and was super pleasantly surprised.